According to the Pew Research Center, one in eight Americans between the ages of 40 and 60 are raising a child, or children, and at the same time, caring for an elderly relative. This is the Sandwich Generation. Phillip D. Rumrill, Kimberly Wickert and Danielle Dresden describe the issues that burden those squeezed between the dependent young and the needy elderly in their book, The Sandwich Generation’s Guide to Eldercare. 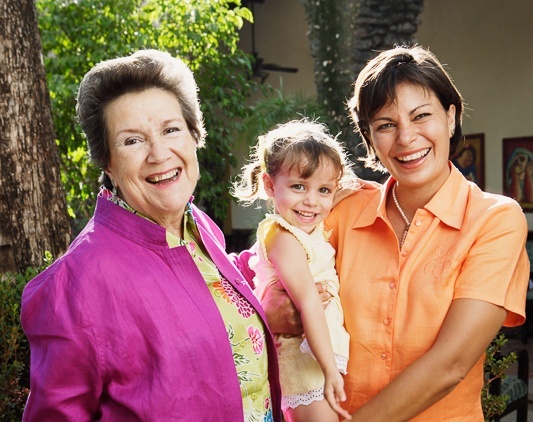 Managing the long-term financial strain of raising children and saving for their education along with providing care and support for elderly loved ones, all while planning for their own retirement. Making difficult decisions concerning care and housing for aging parents. Balancing the obligations of caring for young children with the equally urgent needs of elderly relatives. Dealing with conflict and tension resulting from eldercare decisions. Navigating the changing family dynamic that results when adult children are “parenting” their parents. All of these pressures can have a negative physical and emotional impact. Stress and missed sleep are known triggers for illness. And caregivers struggle with emotions ranging from anger and resentment to guilt and grief. Without some relief, they are at risk of caregiver burnout. Visiting Nurse Association of Ohio is able to provide that relief. In serving their home healthcare patients and Home Assist™ clients, VNA of Ohio’s team provides critical support to the primary caregivers. In addition to providing back up to the care-giving efforts, VNA of Ohio also offers advice and emotional support to caregivers, helping them to connect with other community resources, such as counselors and support groups. Learn more about VNA of Ohio respite care services, or call us today at 1-877-698-6264.